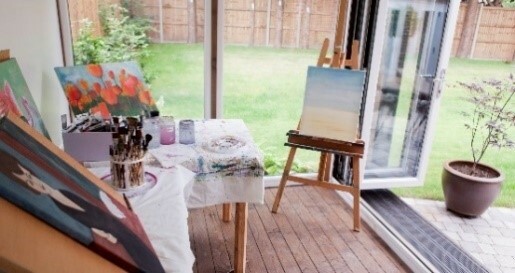 Whether you’re a professional artist or a budding amateur, having your own garden workspace to create art gives you the opportunity to set your garden art studio up just the way you want it. You are free to be as creative as you like – surrounded by nature and with few distractions. 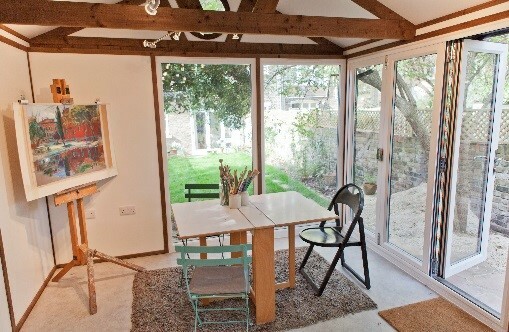 Let SMART build you a custom-made garden art studio. Having a garden workspace of your own means no more travelling to an expensive rented studio and it will also free-up space you may have previously been using in the house that was used for cumbersome and messy art equipment. 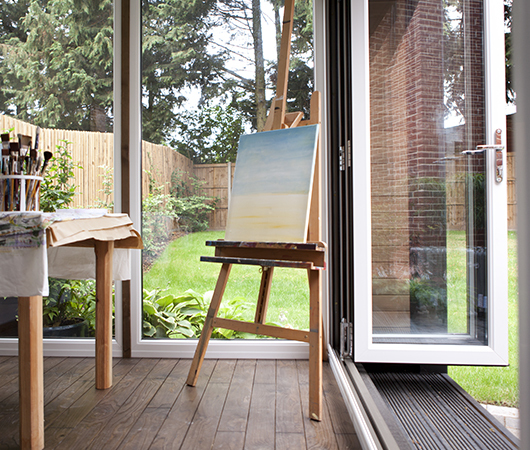 We understand how important is for artists to have the maximum amount of natural light for creating their art, so with our unlimited floor to ceiling double-glazed glass windows and doors, creating a light and airy creative garden workspace has never been easier. All our SMART garden art studios’ floors, walls and ceilings are fully-insulated, so you are free to be as creative as you want in there all year round, keeping you warm in the winter and comfortably cool in the summer. Our SMART garden art studios are also extremely secure, so you can leave your creative work in there safe in the knowledge it will be safe and secure overnight.